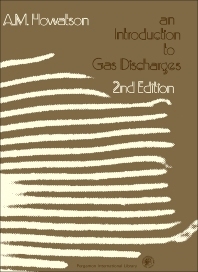 An Introduction to Gas Discharges: Second Edition aims to provide a compact introduction to the subject of gas discharges, which continues to make both scientific and industrial progress. In this second edition, the author has made minor corrections, rewritten and expanded some sections, used SI units and modernized notions, in hopes of making the book more up to date. Included in the book is a short history of the subject, an introduction that enumerates the types of gas discharges, the fundamental processes, and then moves on to the more specific areas such as the breakdown, the self-sustaining discharge, equilibrium, plasma properties and measurements, and the technological applications of gas discharges. Concise and easy to understand, the text is for students and researchers who wish to learn the subject and prepare them for more advanced readings.